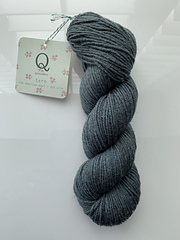 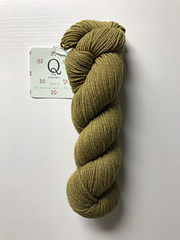 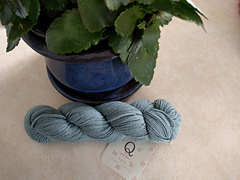 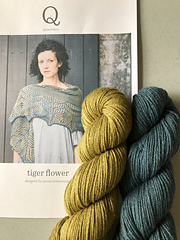 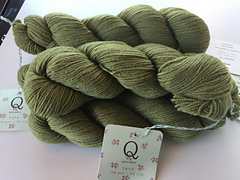 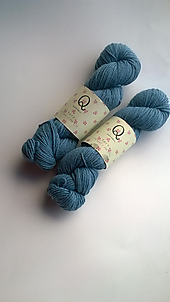 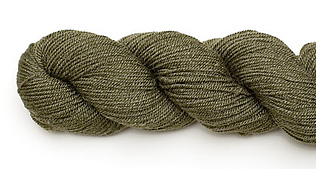 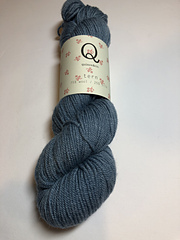 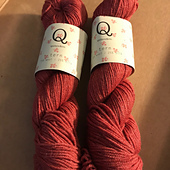 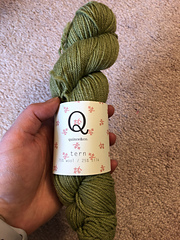 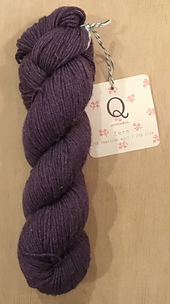 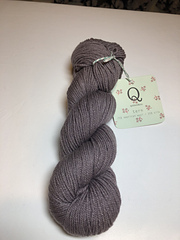 Tern from Quince & Co.
Soft and skinny is our wispy Tern, a blend of wool and tussah silk. 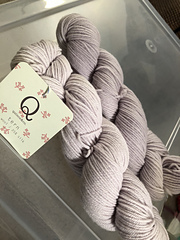 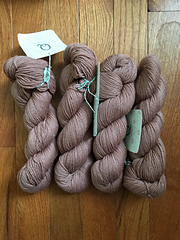 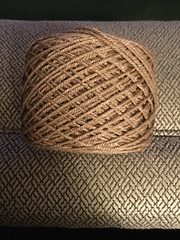 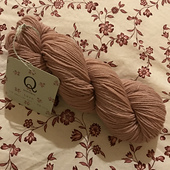 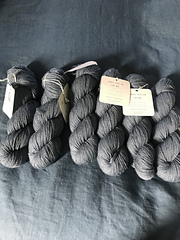 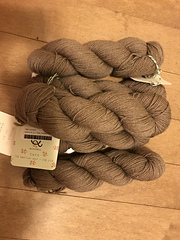 The yarn’s muted palette - think vintage painted photographs - results from the way in which the different fibers absorb dye. 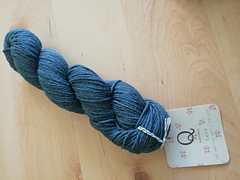 The wool portion colors thoroughly, but the silk is barely tinted. 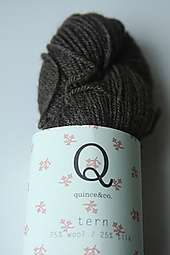 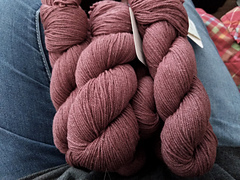 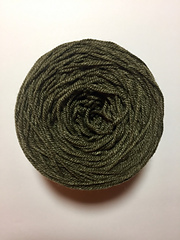 It’s good for socks, scarves, mitts, hats, and any sweater that loves a little drape. 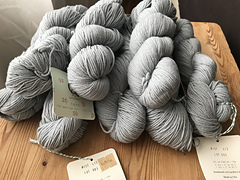 We recommend that you hand wash your wool project with gentle soap, such as Twig & Horn’s lanolizing Wool Soap, in cool water. 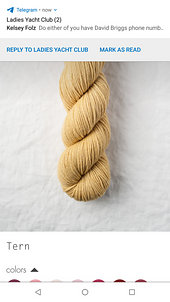 If using a gentle soap such as Wool Soap, you do not have to rinse. 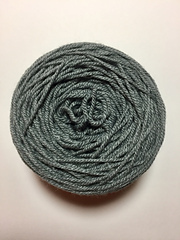 If you use a regular detergent, rinse it thoroughly and gently press out extra water and roll it lightly in a terry towel to absorb more of the moisture. 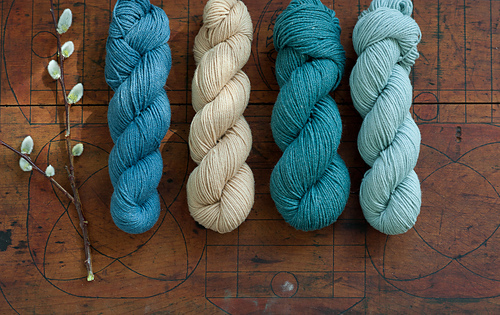 Lay your project out to the correct measurements and let it dry naturally. 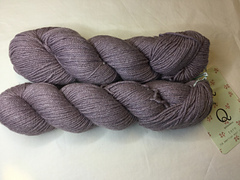 If you want to speed up drying, aim a fan at the drying surface. 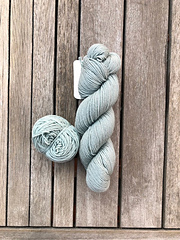 If you’d like to try machine washing your wool and wool-blend garments (not recommended), use cool water and a gentle cycle. 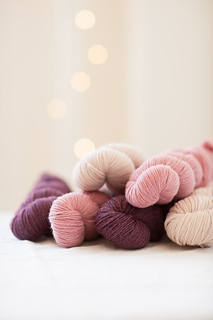 After spinning, lay your garment flat to dry. 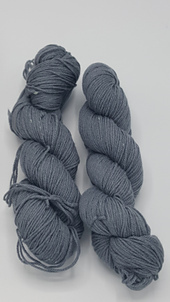 And never, never put your knitted wool garment in the dryer.